An Elk Grove man remains in custody at the Sacramento County Jail following a shoplifting attempt at an area business. On Friday, February 10, Diedrick Cortez Burnett, 18, allegedly was observed shoplifting merchandise at the Rite Aid store on the 7200 block of Elk Grove Boulevard. After stealing the merchandise, Burnett fled on foot and was located by responding Elk Grove Police officers. 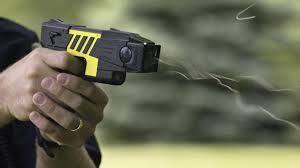 When officers attempted to detain Burnett, he did not comply with instructions and one officer deployed his Taser which failed penetrate the suspect's clothing. After a brief struggle, officers were able to detain Burnett. The stolen merchandise was recovered and returned to the store, Burnett was arrested and booked into the county jail where he remains in custody on $20,000 bail. Burnett is charged with misdemeanor shoplifting and resisting arrest charges as well as felony violation of probation and will be arraigned on Wednesday, February 15.